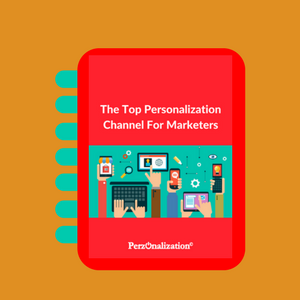 Reconnect with your shoppers with the right personalized content, at the right time. 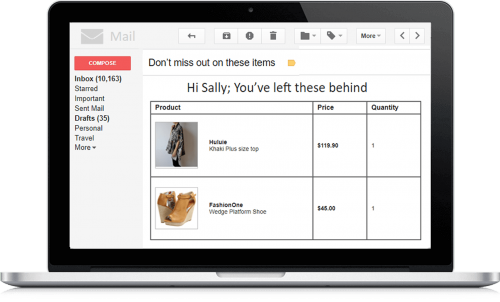 Win back your customers with Trigger Automation For E-Commerce Emails. 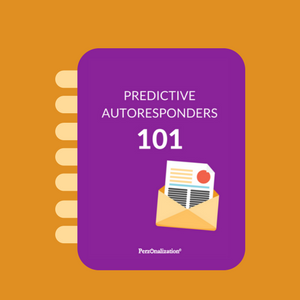 Define behavioural or predictive criteria and have personalized emails sent automatically when these criteria are satisfied. Add personalized recommendation widgets to inspire further shopping. Re-engage your shoppers with a nice reason to come back via recommendations prepared just for their personal taste. Pick up from where your shoppers left off, who are likely to have forgotten to buy an item they really need. Supplement with personalized recommendations to inspire further shopping. Help shoppers, engaged in a category or product multiple times but could not make up their minds, with intelligently picked items just for them. An e-mail you send can easily be inspiring for your users if it’s targeted and includes some personalized content. We use our AI powered real-time predictive technology not only on web and mobile but also on e-mails you send. Good news is, our technology allows us to work with any e-mail service provider you choose. The magic happens not when the email is sent but when the user opens it. That helps us show real-time and personalized recommended products for that user. This in turn increases click-through rates resulting in a higher ecommerce conversion rates. After you activate automation triggers, we handle the delivery of emails for free. No need for a third party provider. Pick from a range of behavioural or predictive trigger scenarios that best match your business requirements. Optionally add personalized recommendation widgets to markup to inspire further shopping. How do we automate emails? Autoresponder emails have always been a great source of customer communication. A nice welcome email can help you win the heart of your customer, immediately. 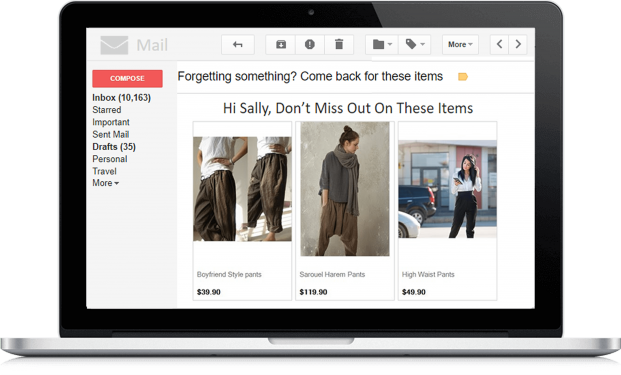 An abandoned cart email can help increase your eCommerce conversion rates. We not only send autoresponder emails but also include personalized cross sell recommendations on these automated emails. How do we combine predictive algorithms with business rules? We keep track of these visitors’ behaviors in real time and make it possible for you to set custom business rules for emails. If she has viewed this same t-shirt 3 times without purchasing, why not send her an email reminding her of that item? A customer who had just bought an ultrabook would be happy to receive a 10% discount for the purchase of an ultrabook cover. We combine your business rules with our predictive algorithms to personalize emails. 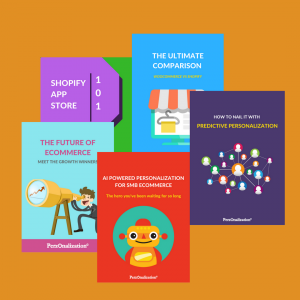 The AI powered personalization engine for eCommerce. 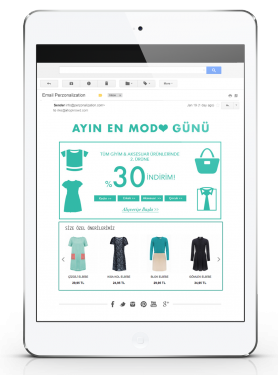 Personalized eCommerce product recommendations on web, mobile and emails. Shopify, OpenCart, Magento, WooCommerce, Prestashop compatible. Can integrate to any eCommerce site.